There was political tension in Imo State on Thursday as men of the Nigeria Police Force , Army, Department of Security Services and Civil Defence Corps took over the complex of the state House of Assembly located at New Owerri . The development was sequel to speculations that some lawmakers numbering about 19 had perfected plans to impeach the Speaker, Acho Ihim ; and his deputy, Ugonna Ozurigbo , during Plenary , a source at the legislature told our correspondent . While the security agents barricaded all entrances leading in and out of the complex , only the lawmakers , media men and Assembly workers were allowed entry into the complex . Our Correspondent gathered that plot to impeach the Speaker and his deputy was being hatched by some lawmakers who want to get at the two principal officers in order to have their ways in determining who emerges the next Speaker of the 9 th Assembly. But during the Plenary , the Speaker directed that five suspended lawmakers be invited to interface with other lawmakers on April 16 during Executive Session . He issued the invitation after Chika Madumere ( Nkwerre) had moved a motion for the recall of the five suspended lawmakers . Ihim said his action was to ensure that the suspended lawmakers were recalled . 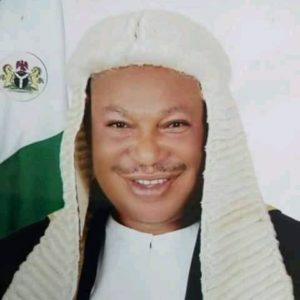 A High Court in the state had , on November 5 , 2018 , quashed the suspension of four out of the five suspended lawmakers . The court, which described the suspension as illegal , jointly awarded the applicants — Uche Oguwuike ( Ikeduru APC ); Chiji Collins ( Isiala Mbano APC ); Israel Nnataraonye ( Mbaitoli ); and Nkenna Nzeruo ( Oru East APC ) the sum of N8 m in damages and N100 , 000 in legal fees . The court directed the leadership of the House to pay the applicants their salaries , allowances and emoluments for the period they were unlawfully suspended . Our correspondent gathered that five months after the judgment , the court had not been obeyed .